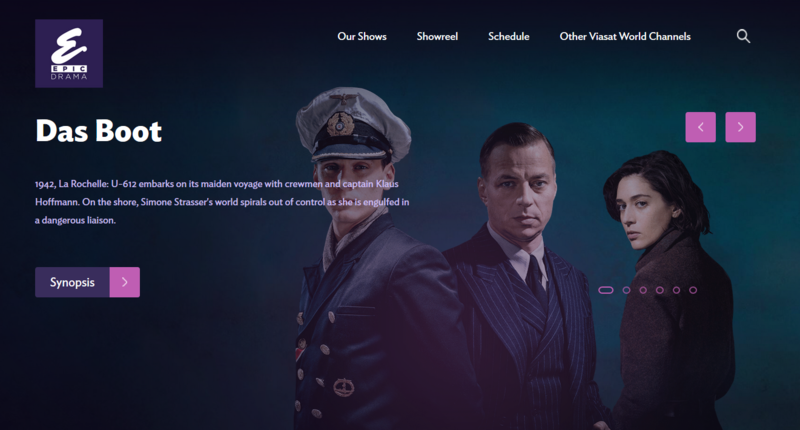 Viasat World has expanded the reach of its premium drama channel, Epic Drama, in Hungary after launching via operators Magyar Telekom and Vidanet. Epic Drama went live on Magyar Telekom’s IPTV, satellite and, TV GO mobile platforms via its Super Family HD and Cinema packages, while 250 hours of SVOD content is also featured in the operator’s monthly on-demand service, Moziklub. Vidanet launched the channel for subscribers to its family package. The launches, which happened earlier this month, mean that Epic Drama joins Viasat History, Viasat Nature and Viasat Explore on Magyar Telekom and Vidanet’s platforms – making all four of Viasat World’s flagship channels available. Viasat World said that the period drama channel and SVOD service now reaches more than 50% of TV subscribers in the Hungarian market overall, and is available to more than 10 million subscribers via more than 60 operator partners across the wider Central and Eastern Europe (CEE) region. “We pride ourselves on the close working relationship we have with operator partners, understanding their needs and those of the audience in the markets where we broadcast,” said Tamas Horvath, commercial director at Viasat World.